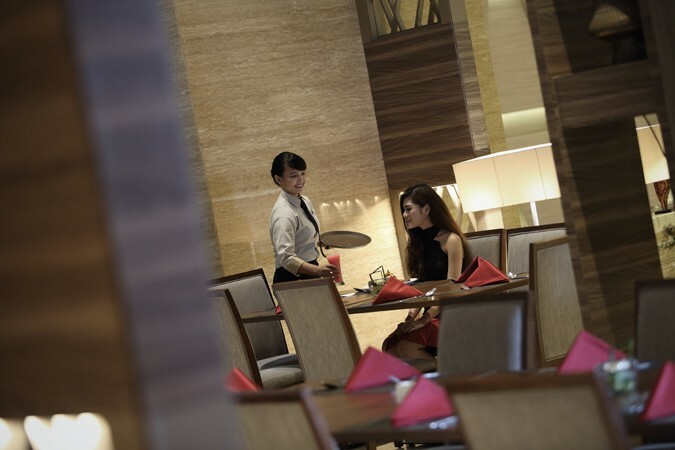 Situated in the lobby of the Hotel GranDhika Iskandarsyah Jakarta is the hotel’s signature all-day dining restaurant, Palapadi. 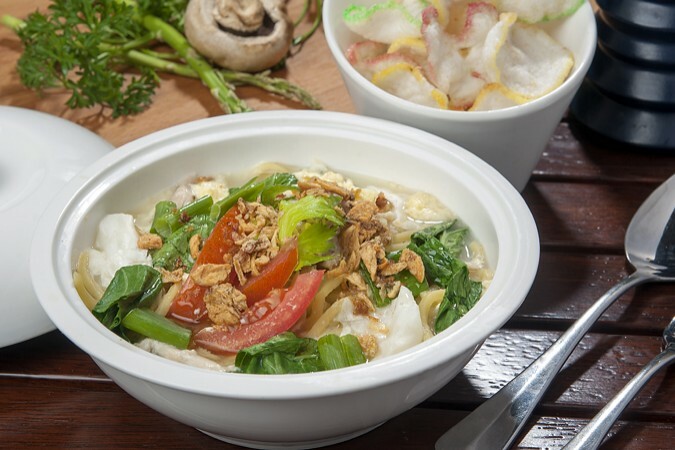 The day starts with a breakfast buffet in this stylish, airy restaurant, and continues with a range of à la minute cooking and a large selection of freshly prepared Asian and Western dishes, including the signature Nasi Pepes Salmon. 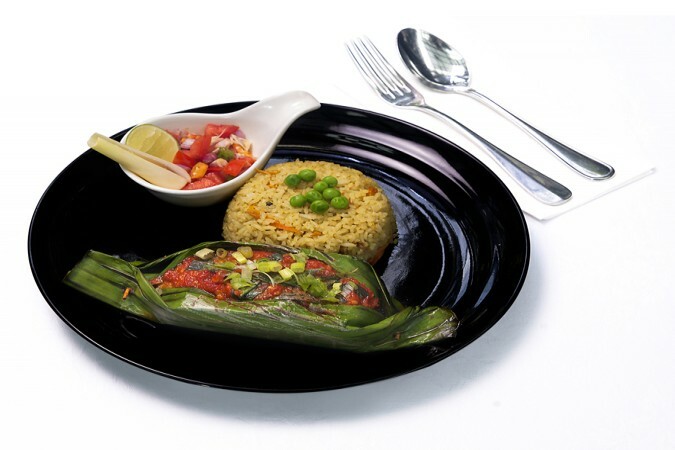 This fusion dish sees Atlantic salmon marinated in Sundanese spices, then steamed wrapped in banana leaf; it is served with turmeric rice and dabu-dabu sambal from North Sulawesi. Delight your palate with this or other tantalizing dishes and refreshing beverages as you absorb the welcoming, cozy ambience of this venue. The friendly staff, attractive interior and plentiful food and drink choices make this an ideal location for groups of friends to gather, informal business gatherings and family outings.